I chose Murder Unincorporated for my first “Diamond Guys” film, based on its description as a “screwball classic” that features “some of the most peculiar killing tactics to ever hit Japanese cinema!” As it turns out, that just means 10 assassins have guns hidden in objects like baseball bats and books of poetry. Seriously, almost every character’s “peculiar killing tactic” is shooting you in the face with a gun – the gun just happens to be hidden in some object that represents their absurd character. Allow me to explain – the premise (which I quite like) is that 5 crime lords rule over an unnamed city (or I missed its name) but when one turns up murdered with an ace of spades left as a calling card by his killer, the remaining crime lords hire a group of assassins to both protect them from and find the presumed killer, Joe of Spades. The assassins they choose to hire are all morons of different varieties, each with their own unique costume and “approach.” One is a baseball fan, always wearing a baseball uniform and carrying around a baseball bat that’s actually a shotgun. One carries around an abacus that he simply tosses in the air to distract his victims and then pulls out a totally normal gun and kills his target. One is a child that claims to be Al Capone’s grandson – yes you’re reading this correctly. Then things get complicated and convoluted as a rival crime syndicate hires their own assassins to assassinate those assassins, ensuring that Joe of Spades will finish the job and kill the other 4 crime lords, putting the city under the control of this rival crime syndicate. THESE assassins also have their own gimmicks, which frankly are more entertaining and interesting than the main assassins we’re supposed to be rooting for (for instance a two man assassin team that wears exactly opposite black and white suits and always mirror each other to distract and confuse their targets). The movie then becomes a mess of supposedly comedic gags where the assassins face off against one another and slowly take each other out while constantly turning to the camera to make obnoxious, reaction faces. It’s all honestly rather boring, and never truly funny. It’s laughably silly that anyone thought this would be entertaining – I’ll give it that. And there is something sort of funny about the backstories they give the main assassins, in an attempt to justify their bizarre costume choices and methods of death. Again, not that those stories are actually funny, but that they attempted to write justification for that insanity at all is pretty funny. There’s a big shootout in the end that’s pretty fun to watch even though it’s mostly chaos. The twist to the plot is pretty easy to see coming, though in a better movie it would be a good piece of writing. That’s ultimately where I come down on this actually – I quite like the premise and a lot of the elements, even some of the silly ones, but it doesn’t really gel together into something that’s all that entertaining. Compliments to Arrow on the release though – this looks and sounds great on Blu-Ray. 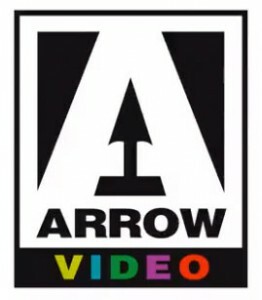 And I love getting the opportunity to see some of the world’s “forgotten” cinema that companies like Arrow can give us. I’d happily watch a dozen more Diamond Guys movies (and likely will watch the other two on this disc) if they’re all restored this well.